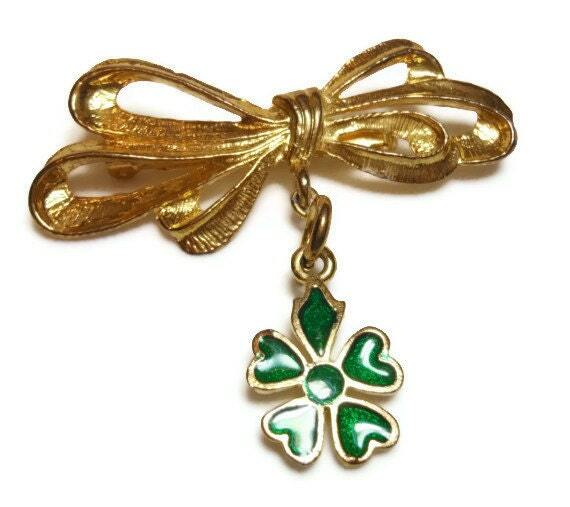 Bow charm brooch with shamrock charm, bar pin, St. Patrick's Day pin. 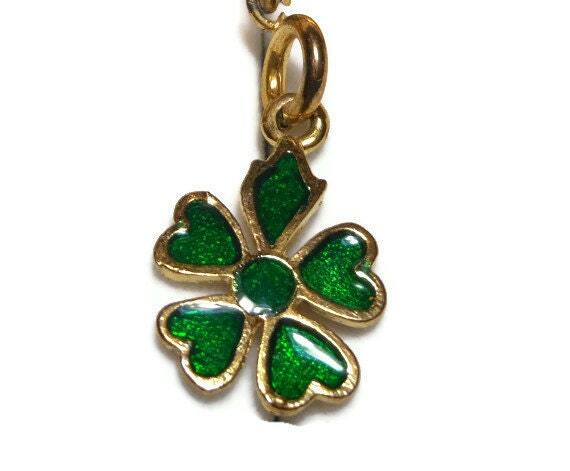 It comes with the shamrock but you can trade it out for any other charm you have to celebrate any occasion! 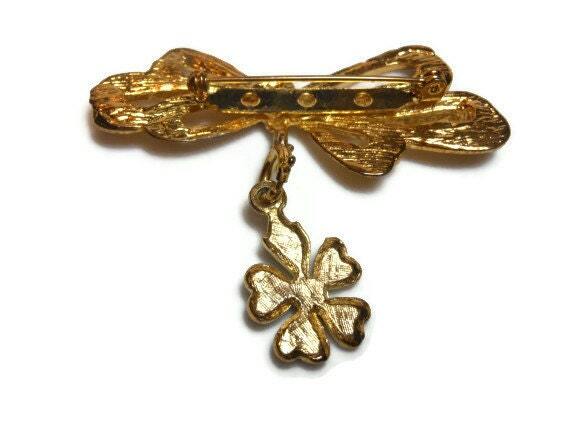 The bow measures 2 1/2" (6 cm) X 1 1/8" (3 cm) and there is some minor rubbing to the finish.